Volvo are known around the world for being especially safe, durable and reliable. These strongly-built cars are regarded as one of the safest car makes on our roads, after scoring some outstanding safety scores. This is reflected in the current models which are included in the collection of used Volvos for sale at RAC Cars. But, it’s not all about safety, Volvos also tend to be sporty, stylish and practical. So, used Volvos are well sought after by responsible families looking for a practical, safe and stylish second-hand vehicle. Whether you need an estate, a 4x4 or saloon, you’ll find it all here in these secure and dependable models. The Volvo range is simple. C denotes a coupe, S is a saloon, V is an estate and XC is a 4x4. Some great deals can be found among the used Volvo 4x4 range. The XC70 is a fantastic car to pile big miles onto. It’s strong and sturdy exterior packs a real punch, while its interior comes with quality upholstery and a stylish finish. 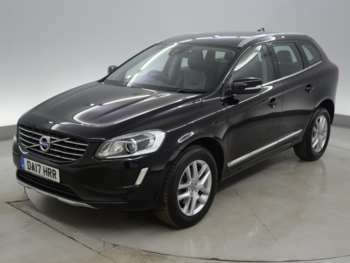 Other popular models include the C30, the V70, the S80 and the XC60. Earlier used Volvos shouldn’t be ignored, as they offer very strong value. As one of the leaders in innovation, when it comes to incorporating new safety features, Volva have built a reputation since manufacturing began in 1927. They have won a number of awards over the years for their cars including the V90 claiming “Best Estate” at the Top Gear Magazine awards in 2016. The XC90 was named the “Best Large SUV” in the 216 AutoExpress New Car awards, so you can rely on a Volvo being a reliable and trustworthy car. The Swedish brand is recognised for safety, reliability, style and intelligence. So, why not see what RAC Cars have on offer in our range of used Volvos where you can enjoy a durable car for a great price.